Visitors file past the flag-draped casket of former President George H.W. 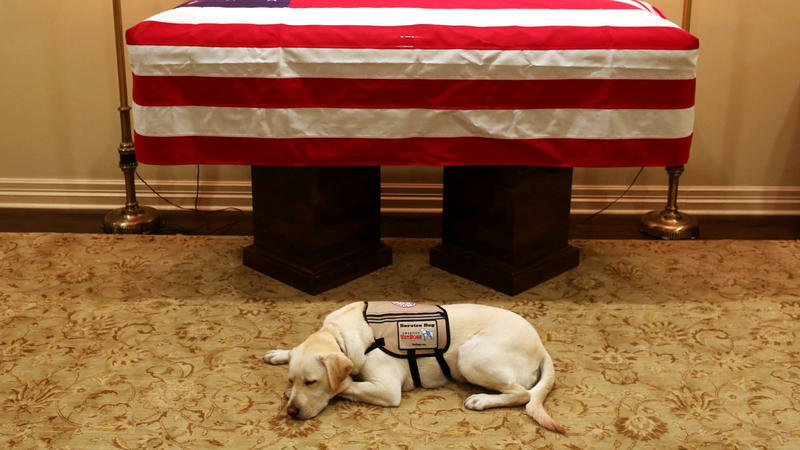 Bush as he lies in state in the Capitol Rotunda in Washington, Monday, Dec. 3, 2018. All state agencies, offices and departments will be closed on Wednesday for a day of mourning to honor former President George Herbert Walker Bush, Gov. Greg Abbott said in an executive order Monday. “Under this proclamation, the people of Texas are encouraged to gather, assemble, and pay their respects to the memory of George Herbert Walker Bush through ceremonies in homes, businesses, public buildings, schools, places of worship, or other appropriate places for public expression of grief and remembrance,” Abbott said in a statement. The order does not include schools and universities. The governor also ordered flags to be flown at half-staff at all state buildings for 30 days. Government operations will continue with skeletal crews on the day of mourning, according to Abbott. The 41st president died Friday at the age of 94. Tributes to him will be held in Texas and the nation’s capitol this week. A funeral is planned for Thursday in Houston, and his body will be interred in College Station hours later. Get up-to-date coverage of former President George H.W. Bush's funeral services and legacy here. When then-President George W. Bush asked his father and President Clinton to team up on relief work, the friendship between the elder Bush and Clinton really took off, biographer Jon Meacham said. President George H.W. Bush's term in office was replete with watershed moments in international affairs that would shape American foreign policy for decades to come. Former President George H.W. Bush died Friday night. He was 94. 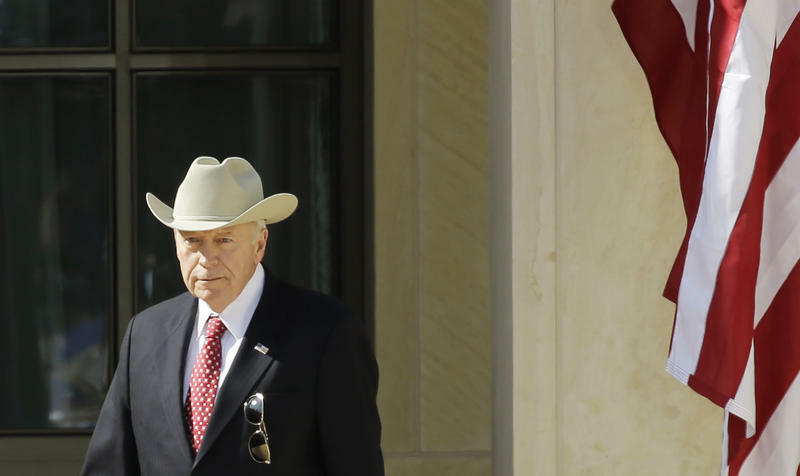 The nation’s 41st president helped build the Republican Party in Texas. George H.W. Bush is set to embark on his final tour of Washington. In Texas, students, staff and visitors have been flocking to Bush's presidential library on the campus of Texas A&M University in College Station and to his statue in downtown Houston. Former President George H.W. Bush used a choice word when describing his son's vice president.